While I do have a lot of pictures, I don’t have time to go through them all, so I’ll just leave one picture here showing the crowd at the Hilton (it was nothing compared to the crowd at the Hyatt or the Marriott, but I couldn’t get a good crowd-shot picture there). 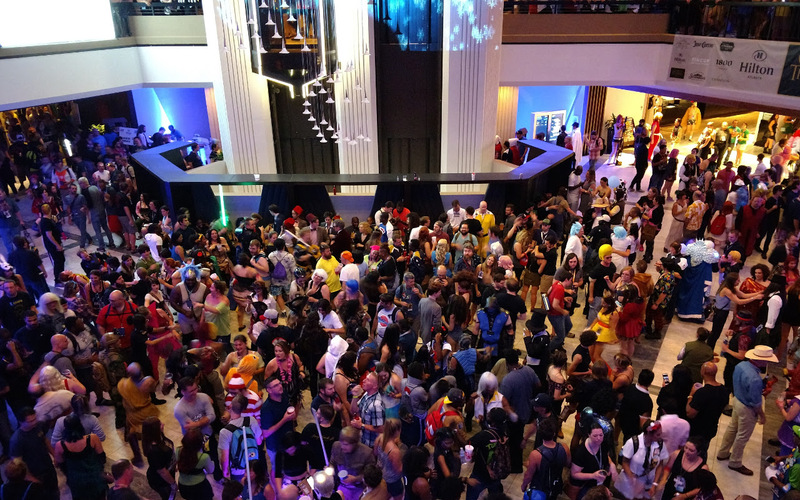 There are lots of other great articles about DragonCon 2017, so I don’t need to go into more detail. Just checkout the articles on TheMarySue, AtlantaMagazine, and Geek.com.